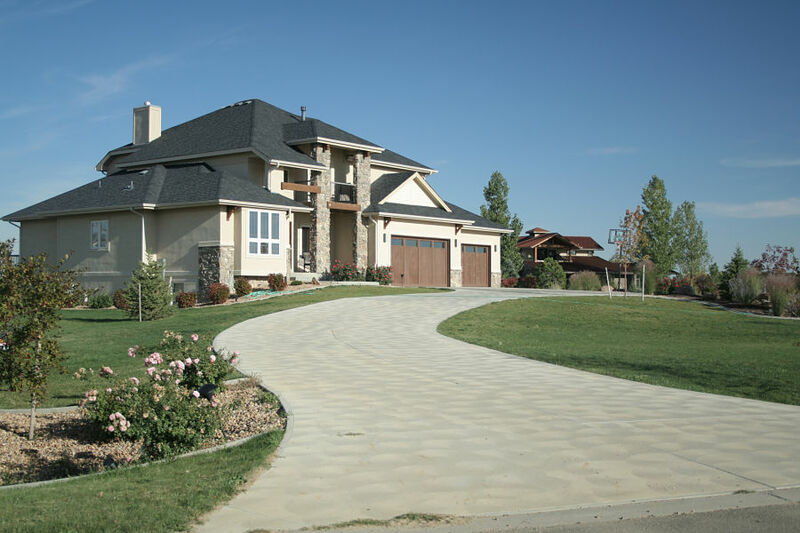 When it comes to owning a home in Boston or any of the surrounding communities, driveways are kind of a big deal. They’re one of the first things people see when they arrive at your house, and they’re generally used multiple times a day. That’s why destroying your asphalt or cement driveway is a major blow to your property value and something you want to avoid. When selling your home, your driveway will be one of the first things that a potential homebuyer will see. Once your home goes under contract, having a damaged driveway can negativly affect your home appraisal. Needless to say, if you are selling your Back Bay Brownstone, you don't have these issues, but for most homeowners, insuring that your driveway is in good conditon should be a priority. Just because you had a professional install your driveway doesn’t mean they did a good job. Problems can arise if the foundation was not packed in properly or inferior materials were used in place of quality ones. What to do: The best way to avoid these problems is to thoroughly research your contractor before hiring him or go with a recommendation from a friend or relative who has already used this service satisfactorily. Heavy trucks such as those used for construction, moving, or travel (RVs) weigh a lot, and if they are constantly sitting on your concrete driveway, the weight will cause damage. It is therefore recommended not to park these vehicles on your driveway for extended periods of time. What to do: Opt for a paid parking lot or the street if this is an option. Studded tires or snow tires with spikes/tracks are very useful for getting around the snowy streets safely. Unfortunately, they’re also great for making holes in your driveway. Asphalt driveways are particularly susceptible to this type of damage, but even concrete driveways will see wear and tear if they aren’t in pristine condition. What to do: Keep driveways sealed properly, and avoid repetitive drives with these spikes on your driveway. If you want your driveway to last, stay away from rock salt. Driveways, especially concrete driveways, suffer more damage from this substance than the comparative good they bring. While rock salt will thaw the ice and snow in temperatures as frigid as 20°F (-6.67°C), the whole melting and refreezing process wrecks havoc on your driveway material. Aside from accelerating the rate of decay within the metal components of your driveway, the ice that thaws from rock salt seeps into your concrete, freezes, and corrodes the cement from the inside out. In short, this is a bad material for your driveway so avoid it at all costs. What to do: If you feel you must use salt, make sure to remove all the snow, ice, and standing water from the surface once everything has melted. Then remove all excess salt from the driveway so it doesn’t further damage the surface. But your best bet would be to look for more effective, less damaging snow removal options. Shoveling driveway snow can actually damage your concrete or asphalt driveway. The metal blades that most people use scratch away at the surface, destroying your driveway with each snowfall. What to do: Instead, use plastic shovels to minimize the damage, and use caution when shoveling snow. Stop a half an inch (1.27 cm) before the surface, and don’t dig down with sharp blows into the ice. Water is one of the worst enemies for a healthy driveway. If it pools in close proximity, it can cause the entire bedrock to become saturated and deteriorate. Rainwater can wash away the soil beneath the driveway and cause it to sink or slope. What to do: If you haven’t installed your driveway yet, have the contractor put it in a location away from where water drains. In the same vein, be sure to remove snow and ice from your driveway as soon as possible so that the melted ice doesn’t cause damage. Trees are a beautiful addition to your property, but if they’re too close to the driveway, roots can destroy the entire project from down below. The roots push against the foundation of the driveway as they grow, forcing the cement to give way. This results in surface cracks along your concrete driveway. What to do: Fortunately, surrounding your driveway with tree root barriers can help prevent this problem from happening.